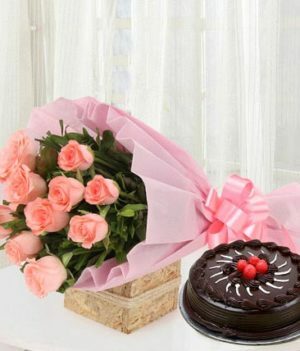 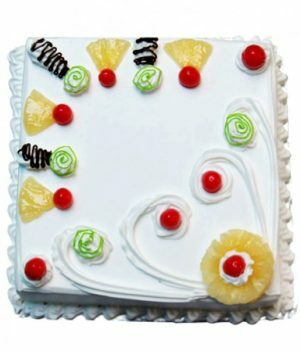 A combo of mouth-watering 0.5 kg pineapple cake and attractive 6 purple orchids bouquet would make your love one day more special. 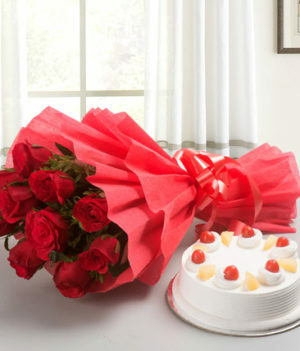 Love is a beautiful feeling that needs to be expressed every now and then. 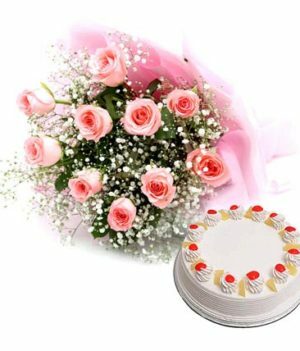 You can never go wrong with a beautiful combo of flowers and cake. 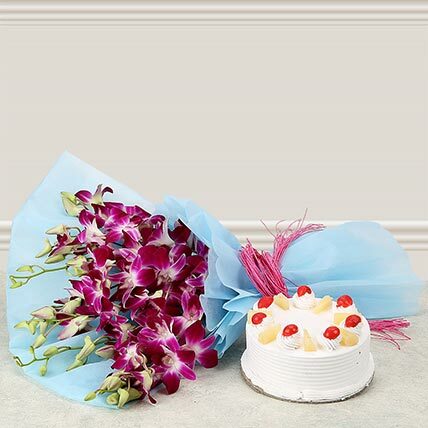 Wishbygift.com has prepared this lovely combo of fragrant purple orchids wrapped up in blue paper packing and a mount-watering pineapple cake. 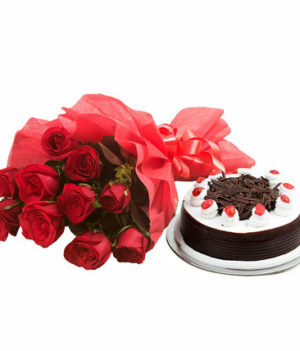 Consider this combo to present to your loved ones to make their day more beautiful and special. 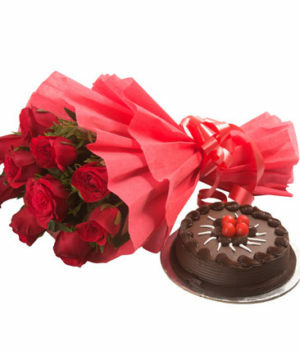 You can present this combo on any occasion or even festival.